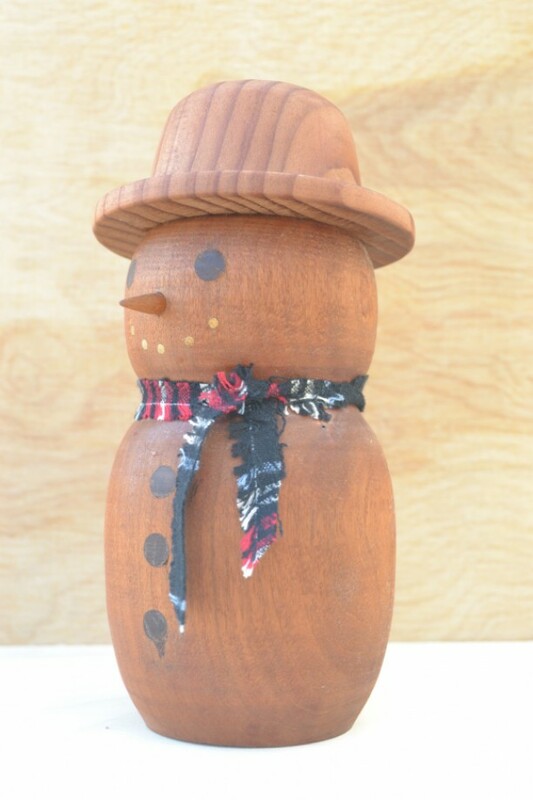 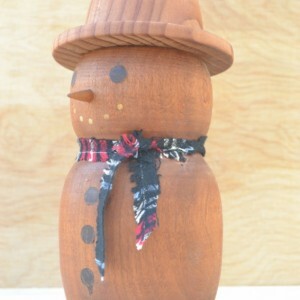 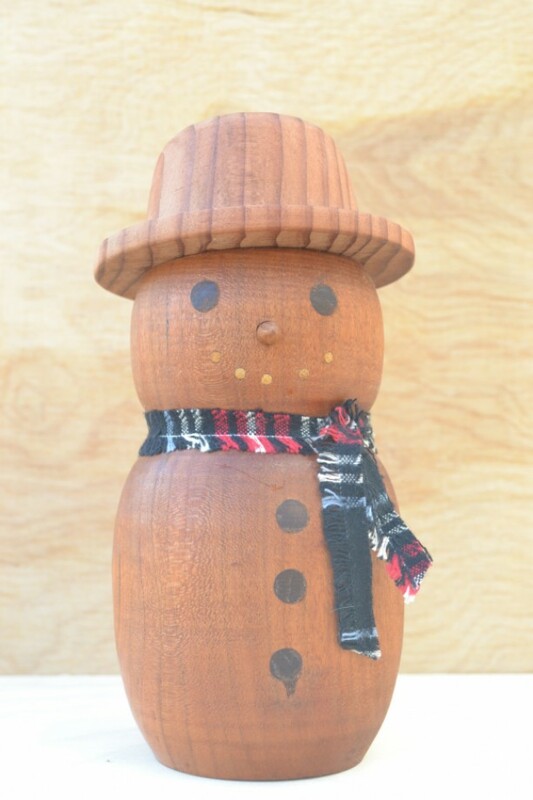 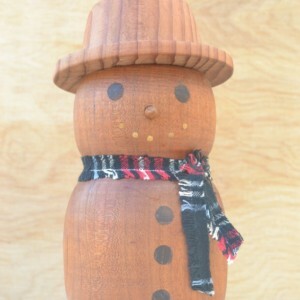 This handmade snowman is turned from reclaimed, vintage Ohio barn wood. 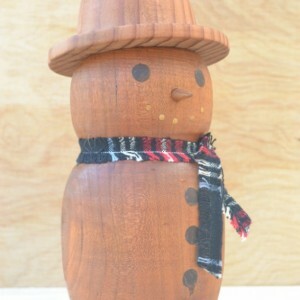 The eyes and buttons are inlaid walnut, the nose is cherry, and the mouth is poplar. 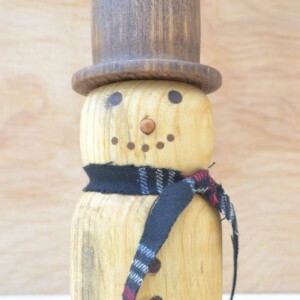 The hat is also hand turned from reclaimed redwood. 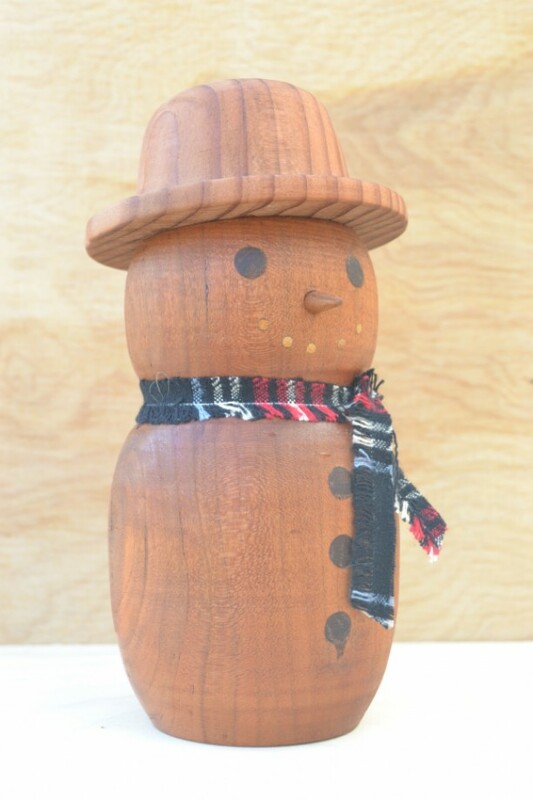 All the wood is sealed with danish oil and the piece is signed by the maker. 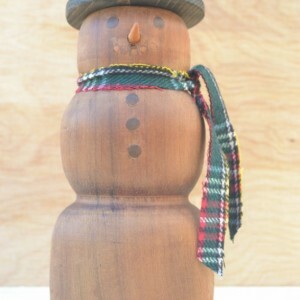 8" high 4" diameter.